Radyr Eyecare and other accredited optometrists located across Wales will undertake an assessment to determine if any low vision aids are available to help a person with low vision do the things they want. 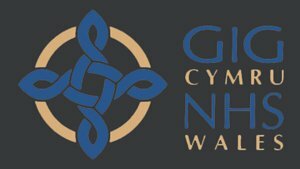 The appointment with the low vision practitioner is provided free of charge by the Welsh Government and all the low vision aids are available on loan, and free of charge. The practitioners will also use their specialist knowledge to refer you to other services in your area. How does someone get referred into the Welsh Low Vision Scheme? an ophthalmologist in the hospital eye service. Practitioners who are accredited to provide the Welsh Low Vision Service are optometrists and dispensing opticians who have undertaken extra training provided by The School of Optometry and Vision Sciences, Cardiff University. They will display a green smiley face logo in their practice window to show that they are taking part in the Low Vision Scheme. How long will I have to wait to be assessed? Once you have been referred a practitioner should be able to offer you an appointment within two or three weeks. How will the assessment be made? The practitioner will carry out a specialised eye examination, and assess how vision aids and appliances may be able to help you. The whole process usually takes about an hour, although this may vary according to your individual needs. There will be no charge for the assessment or for any equipment issued. The Welsh Low Vision Service is funded by the Welsh Assembly Government. What if I don’t get on successfully with the low vision aid? The scheme provides all aids and appliances on a loan basis. If, for any reason, you decide not to use the aids, they should be returned to the optometrist who supplied them.